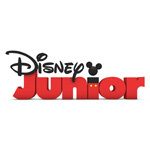 Disney Junior plans to launch a nightly block of parent-targeted, kid-friendly short-form programming to air interstitially on the 24-hour channel Disney Junior, beginning Tuesday, September 4 (9 p.m. – 4 a.m.). Presented under the banner “Disney Junior Night Light,” the content is produced by Disney Interactive Family and the block is sponsored by Babble, Disney’s parenting blog platform. The programs will also be featured on the Babble YouTube channel and DisneyJunior.com/Nightlight. The announcement was made today by Nancy Kanter, Senior Vice President, Original Programming and General Manager, Disney Junior Worldwide. The short-form series include: DJ Tales, featuring costumed finger puppets acting out kids’ versions of classic fairytales and storybook favorites; Picture This, a fast-paced series featuring artists and animators creating images of classic and contemporary Disney characters; and That’s Fresh, a cooking show hosted by chef Helen Cavallo. Disney Junior Night Light shorts in development include a series starring child and family photographer Me Ra Koh sharing her tips and tricks for taking professional-quality photographs, charming vignettes featuring parents sharing the story of the first day they brought their child home and a series that puts stay-at-home dads front and center. 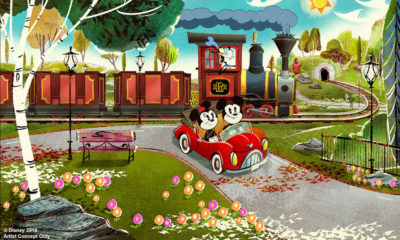 For the second quarter 2012, the Disney Junior preschool block on Disney Channel delivered the top three preschool cable TV series among Women 18-49 with Doc McStuffins, Jake and the Never Land Pirates and Mickey Mouse. The March 23, 2012 premiere of Doc McStuffins was the #1 preschool series launch in cable TV history with adults 18-49.